If you are looking for a titanium utility carabiner you might be interested in a new design created by Mike Bond called the Ti2 Whar-Biner, which has launched over on the Kickstarter website this week. 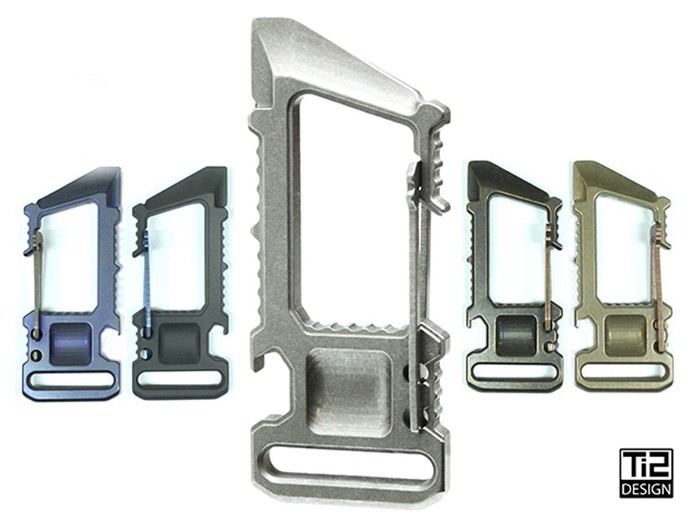 The Ti2 Whar-Biner has already broken its pledge goal with 31 days remaining and has been created to provide a purpose built titanium utility carabiner designed for everyday carry. “The Ti2 Whar-Biner is a purpose built utility carabiner designed for everyday carry. We’re huge EDC/knife enthusiasts and our Whar-Biner project takes utility inspiration from the Wharncliffe/Sheepsfoot/Coping blade designs. This shape coupled with a “hollow grind” offers excellent strength for chiseling, prying and scraping. For more information on the new titanium utility carabiner jump over to the Kickstarter website for details and to make a pledge from $98 to own one of the first off the production line.